But that’s what worked in his favor. 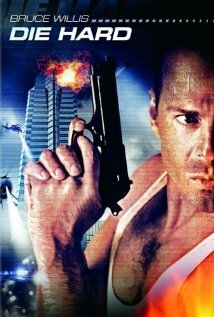 John McClane is a character who needed to play off good supporting characters (like Reginald VelJohnson’s Al) and he needed to have a sense of humor as he tried to deal with running around a skyscraper controlled by terrorists and having no shoes on. It wasn’t as dark and gritty as some of Willis’ later movies got, including future Die Hard entries. It had just enough camp and light moments to make it far more fun than your normal action movie. When you think of a muscle-bound hero diving away from an explosion in slow-motion, you think of Bruce Willis, and this movie is why. The Premise: Let’s make three epic movies about elves, dwarves, and hobbits all chasing after a ring. Why it was silly: Hollywood had tried and failed to make the movies for years, and Lord of the Rings was seen as having a small, nerdy fanbase that wasn’t nearly strong enough to justify the cost. It was more than just the characters but the world of Middle Earth. From the inviting hills of Hobbiton to the deep mines of Moria, every inch of the world was real and credible. The creatures in the world were brought to life by WETA, who was able to create vast armies with the clicks of a few buttons. (Well, it took a little more doing than that, but the point is they made it happen.) Every moment in the movie was believable and Peter Jackson succeeded in bringing Middle Earth to life in a way that fans had been dreaming about for years and years. What’s more, Jackson made a movie about dwarves, orcs, and elves that mainstream audiences wanted to see. 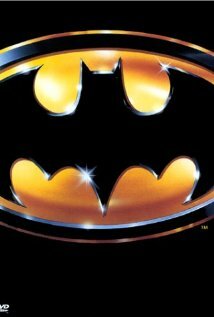 This was no longer a nerd movie, this was an event movie that everyone needed to watch. The Lord of the Rings quickly became a pop culture staple, and Gollum became a huge fan favorite. But in the end, it wasn’t a CGI creature that brought the crowds, it was an elf played by Orlando Bloom who was the big draw. Since Bloom helped bring in the “girlfriends who at first weren’t so keen on the movies but now love them” demographic, the movies were not such a silly idea in the end. 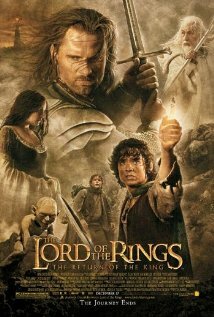 Especially since the third movie, Return of the King, took home 13 Oscars including Best Picture. Why it was silly: Each skit ends with MacGruber being blown up. Plus, it’s a movie based on an SNL skit. Why it worked: Believe it or not, SNL movies aren’t all horrible. Blues Brothers is still, hands-down, the best movie based on an SNL sketch and one of the greatest 80′s movies ever. Wayne’s World is a classic, and they even spoofed the Clue “3 endings” bit. Coneheads and A Night at the Roxbury have their moments, so it’s no surprise that MacGruber holds it own. However, what really makes it work is that they make the movie into a spoof/tribute to every 80′s action movie ever made. Rather than have MacGruber (Will Forte) be an incompetent version of MacGyver, they go with the old “retired supersoldier gets called back on for one more mission” plot, which is every other 80′s movie ever made. (I’m probably wrong about that.) Anyone who watched any 80′s blockbuster will recognize all the elements, from the over-the-top action and violence, to the obligatory montage This is every Stallone and Schwarzenegger movie rolled into one, along with a stalk of celery that you don’t want to eat afterwards. The humor, of course, is top notch. Whether it’s the spoofs, the banter, or the gross-out moments that you can’t believe are happening, this movie is a lot funnier than the previews led you to believe, namely because there were too many jokes they could never get away with showing in a preview. This movie fits right into the ranks of The Hangover and Tropic Thunder, and it becomes easy to foget that it started out as an SNL joke that got old after 15 seconds. I can do more than talk pop culture. Check out my book Guardians of Suncast Dale, a satirical fantasy adventure on Kindle. You can read it here for free. 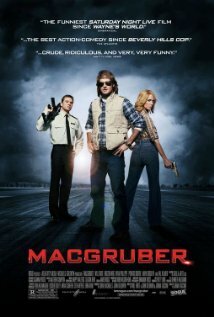 Macgruber was terrible and couldn't even make back its measly $10 million dollar budget. How did it work? Comedy is subjective. One man's Airplane! is another man's Meet the Spartans. 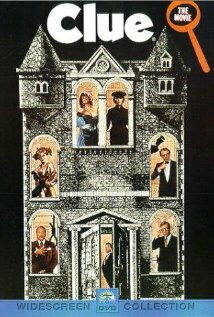 I thought this movie was funny but I get that not everyone will. Still, it was far better than I thought it would be and that's what made me put it on this list. And not all good movies were box-office successes. 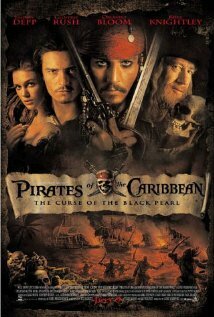 Some take years to become cult classics, and this could be one of them.